As you may or may not know I am an advocacy blogger for Emma's Diary. What this means is that I blog for them and, on occasions, get to work with them on some super exciting projects like this one! 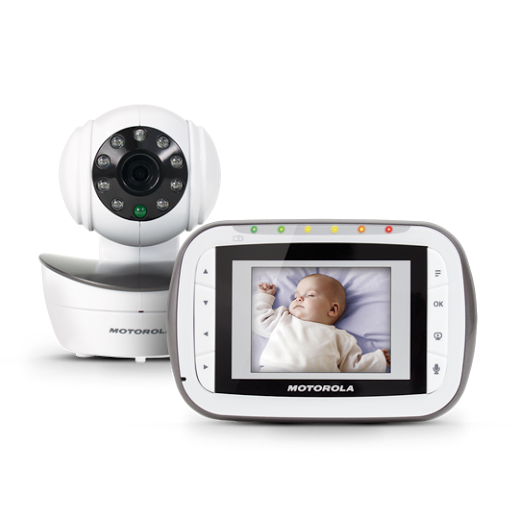 The lovely guys at Emma's Diary recently sent me a Motorola MBP41S Video Monitor and as we had never tried a video monitor before I was really excited to put this on to the test and report back! ''she hasn't got a baby...her sons almost 2...why does she need a baby monitor??''. Up to 300m range and an out of range indicator. 2 way talk facility (which I tried and it scared the life out of Bubba as he couldn't work out where the voice was coming from...opppsss!!). 5 lullabies that you ca switch on from the parent unit. Parent voice recording option on the baby unit. Pan, tilt and zoom function. Intra red night vision so you can see your little one in the dark. The camera is wall mountable. Temperature shown on the screen so you can keep an eye on how hot the rooms gets. Alarm for the parent unit if you wanted to check on your little ones at certain times. This is in addition to all of the normal things that you would expect from a monitor like a huge amount of channels and the option to add another baby unit if need be! The things that really stood out to me, having never had a video monitor before, was firstly the quality of the video itself. I thought that it would be really grainy and poor quality but this is fantastic. 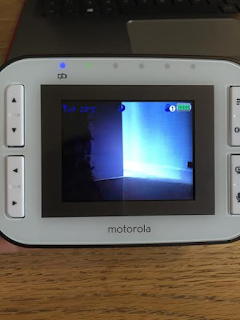 There is hardly any lag on it too so when you are looking at the screen you are pretty such seeing exactly what is happening in your little ones room. I also love that the temperature is shown on the screen. If you read my blog then you will know that I am a bit obsessive when it comes to the temperature of Bubbas room and I love that this shows you exactly how hot or cold the room is. The last feature that really stuck out to me about this monitor was the alarm facility. 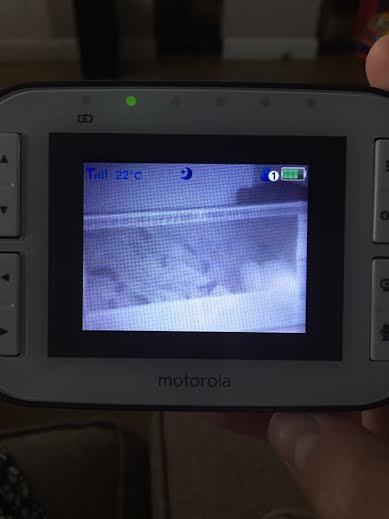 You can set the monitor up so that an alarm goes off on the parent unit every 2,4 or 6 hours. Being the temperature freak that I am, I think this is perfect for when your little one is unwell and you want to check in on them periodically. HUGE thumbs up from me on that one! Overall, I love this monitor and for the £99 RRP I think it is fantastic value for money as well. You should be able to find this monitor at most baby retailers. I have found it at Argos for £99.00. If you are undecided about how to pick a monitor or if a video monitor would be right for you then Emma's Diary has created a guide on how to help you buy a baby monitor. You can check that out here! 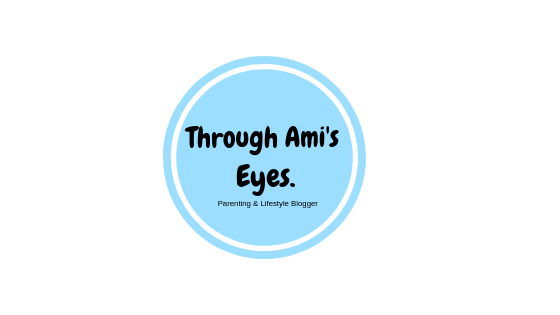 Also, if you don't think that a video monitor is for you, which is fine as they aren't for everyone, then the wonderful guys at Emma's Diary have also created a list of what they think are the top 10 baby monitors. Find that by clicking here! Note: This item was sent to me for review by Emma's diary as I am an advocacy blogger for them. In saying this, all opinions and views expressed are honest and 100% my own.